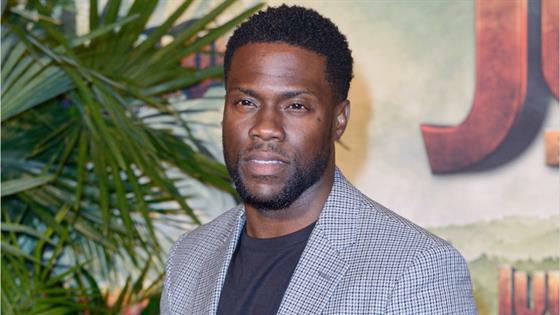 Kevin Hart received a warm welcome this weekend in Australia, where he performed two comedy shows at a stadium, just after he stepped down as host of the 2019 Oscars following backlash over past anti-gay tweets. The 39-year-old comedian, one of the most successful in the world, posted on his Instagram page on Saturday a video of him onstage at a packed Qudos Bank Arena in Sydney as the crowd cheers. He says, "Two sold-out shows in Sydney, Australia and I gotta tell you, I'm f--king blown away." He also wrote, "All I can say is WOOOOOOOOW.....Thank you so much Sydney Australia....Making the world laugh is forever a priority. Blessed to be able to bring laughter on a international level & do what I love!!!! #irresponsibletour #comedicrockstarshit #LiveLoveLaugh"
While he did not address the Oscars controversy specifically during Saturday's show, he did tell the audience, "Always embrace your flaws and f--k ups," a source told E! News. In addition to the backlash over his past anti-gay tweets, Hart has also come under fire for his 2017 cheating scandal. He had apologized to his then-pregnant wife, Eniko Hart for his "bad" behavior and she has since forgiven him. Hart had announced on Tuesday that he would host the 2019 Oscars. Users then unearthed anti-gay tweets he posted years ago, which he soon deleted. He later revealed that the Academy asked him to apologize for his past homophobic remarks as a condition for him keeping his Oscars hosting gig. He initially refused, saying, "I've addressed it. I've spoken on it. I've said where the rights and wrongs were. I've said who I am now versus who I was then. I've done it. I'm not gonna continue to go back and tap into the days of old when I've moved on." But on Thursday, he said in a statement that he had "made the choice to step down from hosting this year's Oscars....this is because I do not want to be a distraction on a night that should be celebrated by so many amazing talented artists." "I sincerely apologize to the LGBTQ community for my insensitive words from my past," he wrote, adding, "I'm sorry that I hurt people.. I am evolving and want to continue to do so. My goal is to bring people together not tear us apart. Much love & appreciation to the Academy. I hope we can meet again." Also on Saturday, TMZ posted audio from 2014 interview Hart gave on Conversations with Ed Gordon in which he said, "Homosexuality right now is in a place where it's not a joke." "The words and terms that were used at a certain point in time are considered slander, are considered violent terms, due to the fact of all the hate crimes that have been had and all of the verbal attack[s] that people have had," he said. "So I personally don't think it's funny. I don't joke about it. I don't want that problem. I don't need any enemies, at all." "I get why it is now a serious thing," he said. "So I don't mess with it."